Amalia Nathansohn Freud (18 August 1835 – 12 September 1930) was the third wife of Jacob Freud and mother of Sigmund Freud. She was born Amalia Nathansohn in Brody, Kingdom of Galicia and Lodomeria and grew up in Odessa, Kherson Governorate where her mother was from (both cities located in modern Ukraine since 1939). 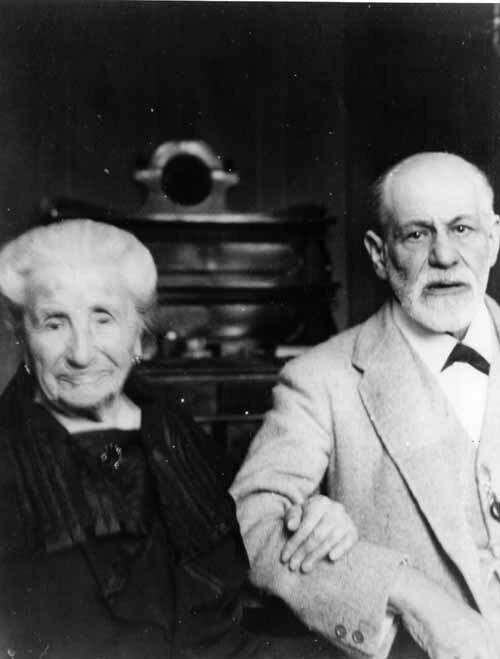 Amalia Freud died in Vienna, First Austrian Republic at the age of 95 from tuberculosis. Amalia was 20 years of age when she gave birth to Sigmund (6 May 1856 – 23 September 1939) (named Sigismund). Amalia was considered by her grandchildren to be an intelligent, strong-willed, quick-tempered but egotistical personality. Ernest Jones saw her as lively and humorous, with a strong attachment to her eldest son whom she called "mein goldener Sigi". Just as Amalia idolised her eldest son, so there is evidence that the latter in turn idealised his mother, whose domineering hold over his life he never fully analysed. Late in life he would term the mother-son relationship "the most perfect, the most free from ambivalence of all human relationships. A mother can transfer to her son the ambition she has been obliged to suppress in herself". His tendency to split off and repudiate hostile elements in the relationship would be repeated with significant figures in his life such as his fiancée and Wilhelm Fliess. This Austro-Hungarian biographical article is a stub. You can help Wikipedia by expanding it.